Create an interactive summary on decentralised wastewater treatment by clicking on the correct answers! Decentralised Wastewater Treatment Summary by Usama Khalid is licensed under a Creative Commons Attribution-ShareAlike 4.0 International License. Create an interactive livestock summary yourself by clicking on the correct answers! Livestock Interactive Summary by Isidora Vrbavac is licensed under a Creative Commons Attribution-ShareAlike 4.0 International License. Create an interactive sand dams summary yourself by clicking on the correct answers! Sand Dams Summary by Isidora Vrbavac is licensed under a Creative Commons Attribution-ShareAlike 4.0 International License. 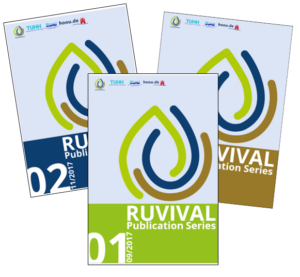 Let’s see how much you have learned or you already know on land-based rainwater harvesting. Click on the right answers, to compile a summary of this topic! If there are still some parts you are not familiar with, you can always check out the rest of the Toolbox element. 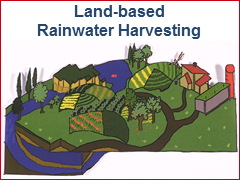 Land-based Rainwater Harvesting Summary by Ayodeji Oloruntoba and Ahmad al Baff is licensed under a Creative Commons Attribution-ShareAlike 4.0 International License. Check your knowledge on world soil resources by compiling an interactive summary by yourself! Hint: You will find the answers throughout the Toolbox element. 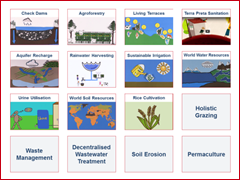 World Soil Resources Interactive Summary by Zhuoheng Chen, Tavseef Mairaj Shah and Ruth Schaldach is licensed under a Creative Commons Attribution-ShareAlike 4.0 International License. For a better grasp of the status of world soil resources, we have compiled a summary of some of the most important points you should know. For more on this topic, please have a look at the additional materials provided in this Toolbox element, as well as the lecture on Soil – water and food security. World Soil Resources Summary by Zhuoheng Chen, Tavseef Mairaj Shah and Ruth Schaldach is licensed under a Creative Commons Attribution-ShareAlike 4.0 International License. Create an interactive urine utilisation summary yourself by clicking on the correct answers! Urine Utilisation Summary by Andrea Munoz Ardila and Ruth Schaldach is licensed under a Creative Commons Attribution-ShareAlike 4.0 International License. Click on the correct statements to compile an interactive World Water Resources summary yourself! World Water Resources Summary by Fuzhi Yao and Ruth Schaldach is licensed under a Creative Commons Attribution-ShareAlike 4.0 International License. Click on the correct statements to compile an interactive Sustainable Irrigation summary yourself! 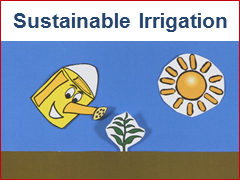 Sustainable Irrigation Summary by Maria Monina Orlina and Ruth Schaldach is licensed under a Creative Commons Attribution-ShareAlike 4.0 International License. Click on the correct statements to compile an interactive Rainwater Harvesting summary yourself! Rainwater Harvesting Summary by Claudia Lasprilla Pina, Rahel Birhanu Kassaye and Ruth Schaldach is licensed under a Creative Commons Attribution-ShareAlike 4.0 International License. Our interactive aquifer recharge summary enables you to learn more about this topic by compiling the summary yourself! Select the right answers and watch as the summary unfolds. Aquifer Recharge Summary by Berenice Mendez Lopez, Isidora Vrbavac and Lukas Huhn is licensed under a Creative Commons Attribution-ShareAlike 4.0 International License. This short Terra Preta Sanitation summary gives you a quick insight into the main features of this sanitation solution. For more information on the topic, have a look at our other interactive materials. Terra Preta Sanitation summary by Dario Fröndhoff and Ruth Schaldach is licensed under a Creative Commons Attribution-ShareAlike 4.0 International License. This living terraces summary gives you a quick insight into the main areas regarding living terraces. For more information on the topic have a look at our other interactive material on living terraces. Living Terraces Summary by Stefan Hügel, Isidora Vrbavac and Ruth Schaldach is licensed under a Creative Commons Attribution-ShareAlike 4.0 International License. Take a look at the following Agroforestry summary to gain a first insight into the topic. Through this summary, we will introduce you to the definition of agroforestry, the classification of its systems and finally its challenges and benefits. Agroforestry Summary by Stefan Hügel, Isidora Vrbavac and Ruth Schaldach is licensed under a Creative Commons Attribution-ShareAlike 4.0 International License. For more information on the topic, please have a look at the rest of the provided material. 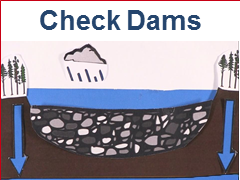 To get a better impression about what check dams are, take a look at the following check dams summary. It will provide you with a first insight into check dams. Check Dams Summary by Giovanni Timillero and Ruth Schaldach is licensed under a Creative Commons Attribution-ShareAlike 4.0 International License.